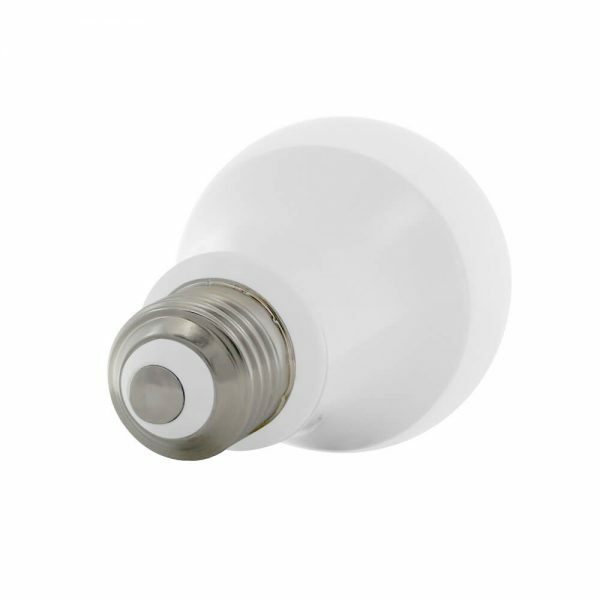 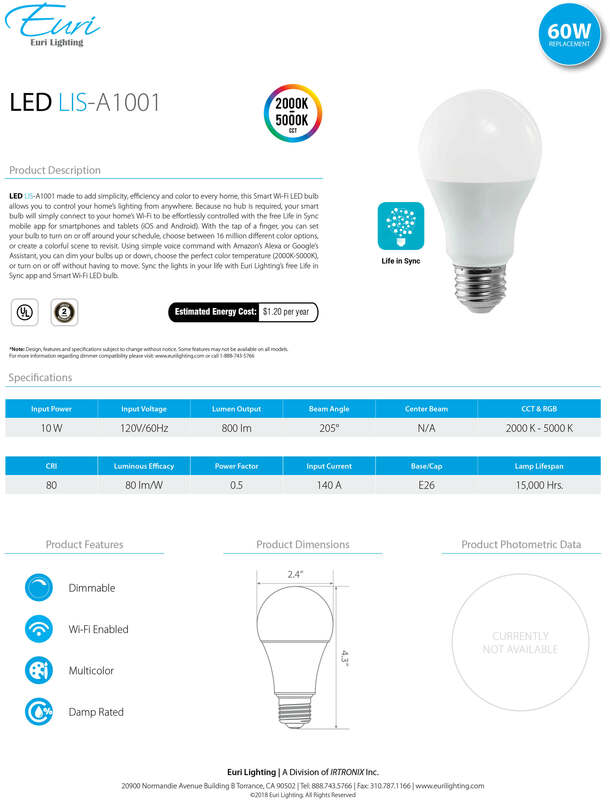 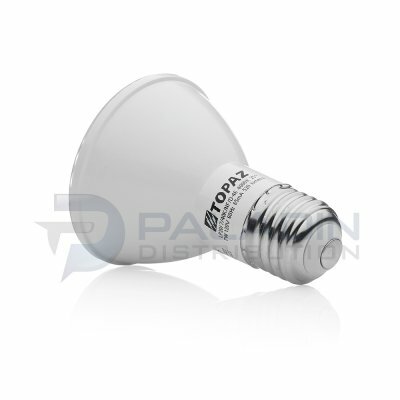 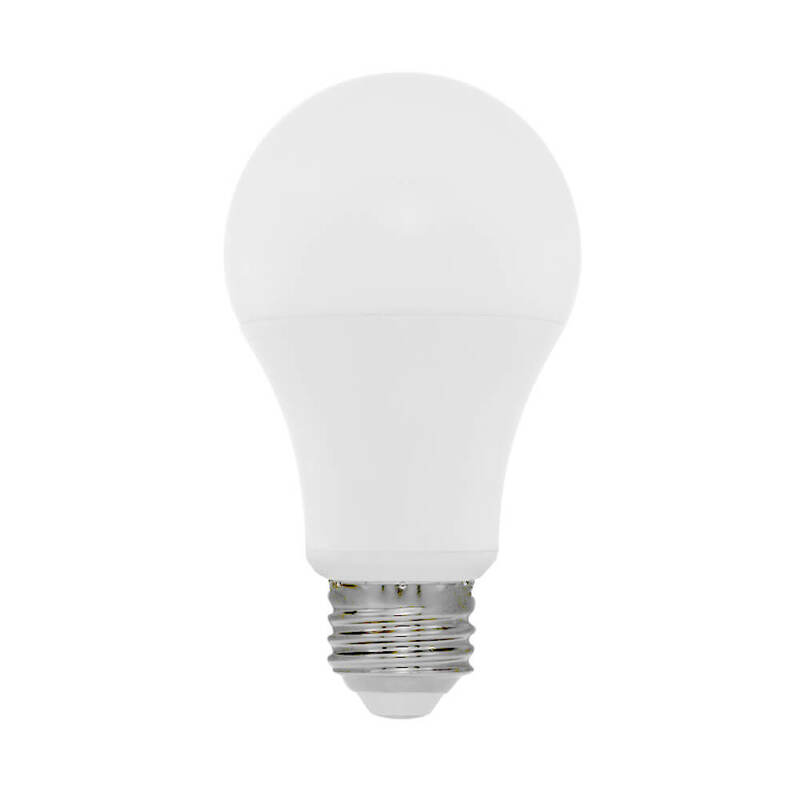 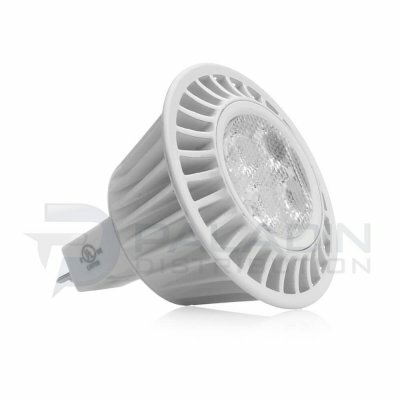 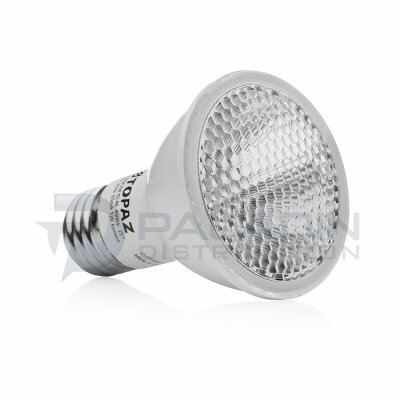 LED LIS-A1001 made to add simplicity, efficiency and color to every home, this Smart Wi-Fi LED bulb allows you to control your home’s lighting from anywhere. 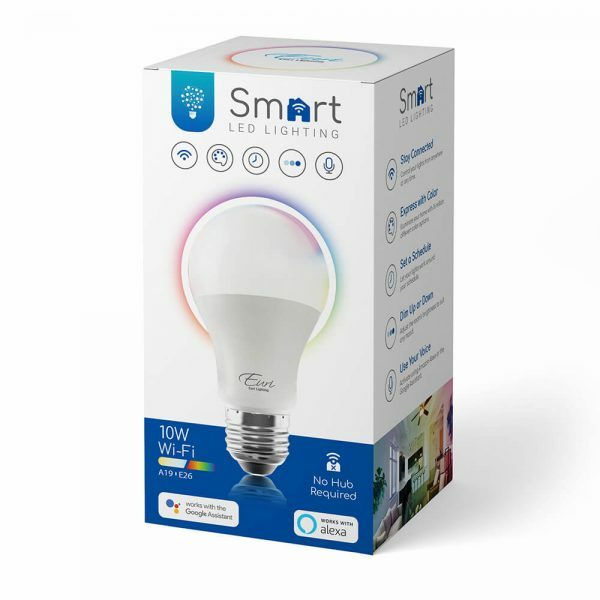 Because no hub is required, your smart bulb will simply connect to your home’s Wi-Fi to be effortlessly controlled with the free Life in Sync mobile app for smartphones and tablets (iOS and Android). 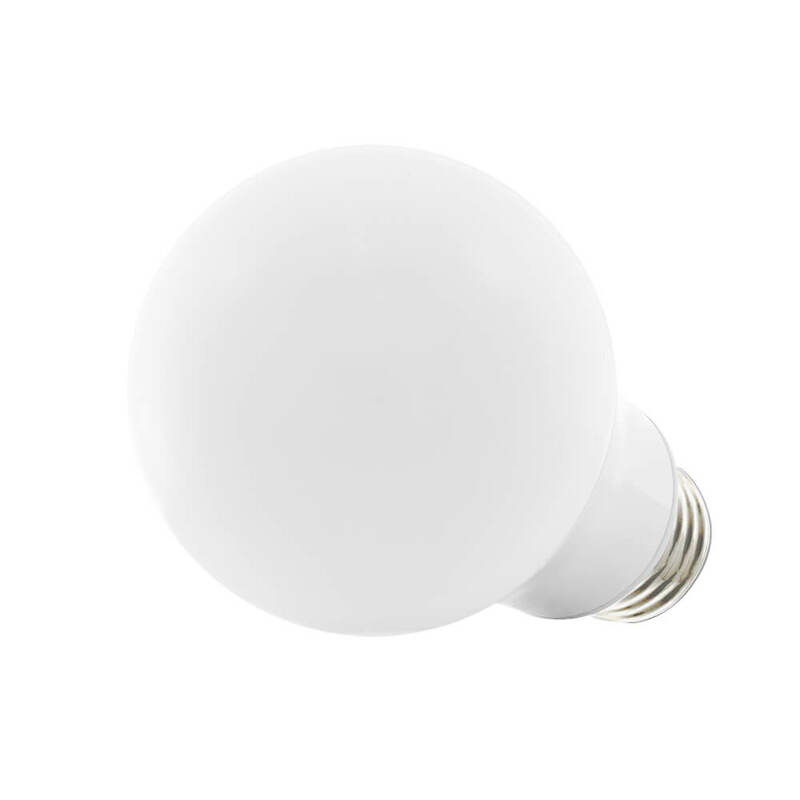 With the tap of a finger, you can set your bulb to turn on or off around your schedule, choose between 16 million different color options, or create a colorful scene to revisit. 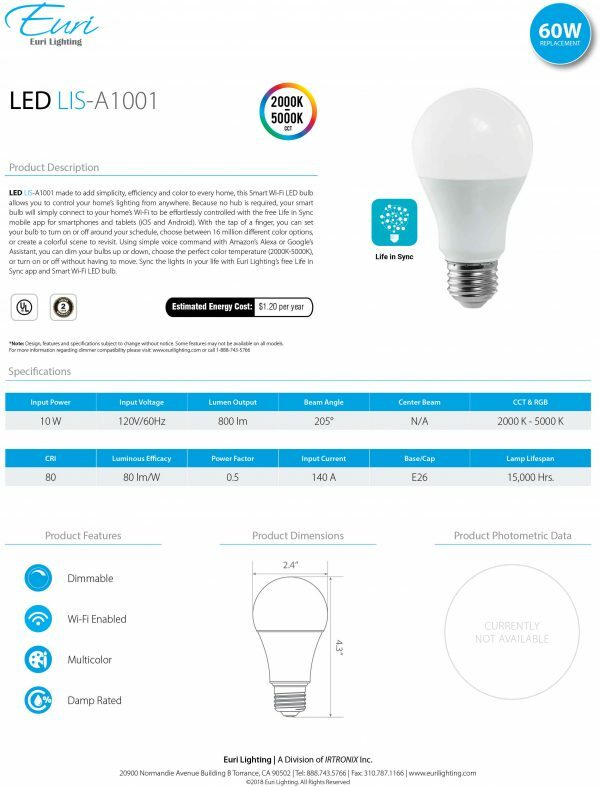 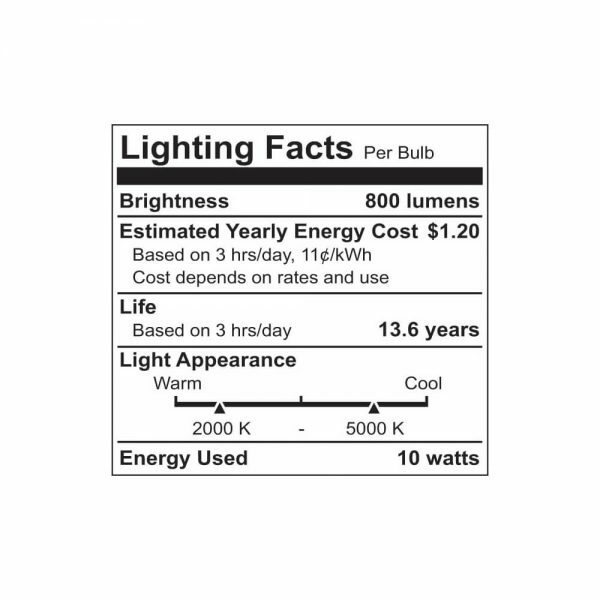 Using simple voice command with Amazon’s Alexa or Google’s Assistant, you can dim your bulbs up or down, choose the perfect color temperature (2000K-5000K), or turn on or off without having to move. Sync the lights in your life with Euri Lighting’s free Life in Sync app and Smart Wi-Fi LED bulb.